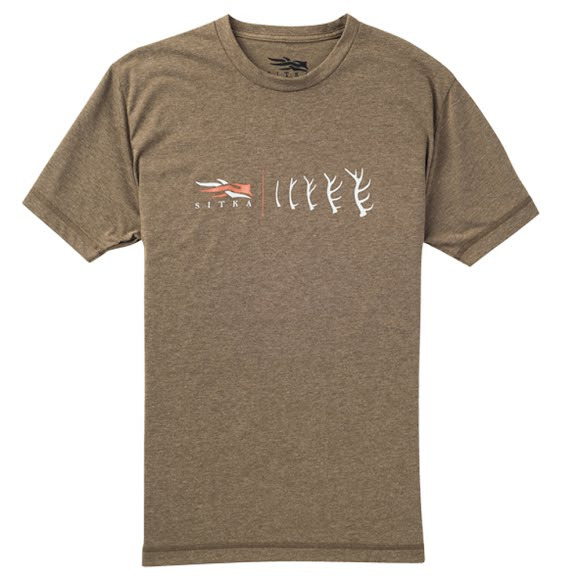 Adapted to be more suited to its environment, this tee is a marked improvement over your cotton shirt. The unique blend of synthetic and natural fibers in DriRelease® yarn actually accelerates the water release rate of Sitka Gear fabrics. In fact, DR fabrics push water and perspiration to the outside of a garment - and into the air faster than other performance fabrics available on the market. Adapted to be more suited to its environment, this tee is a marked improvement over your cotton shirt. The unique blend of synthetic and natural fibers in DriRelease® yarn actually accelerates the water release rate of Sitka Gear fabrics. In fact, DR fabrics push water and perspiration to the outside of a garment - and into the air faster than other performance fabrics available on the market. The added boost of FreshGuard, embedded in all DR blends, delivers unmatched.